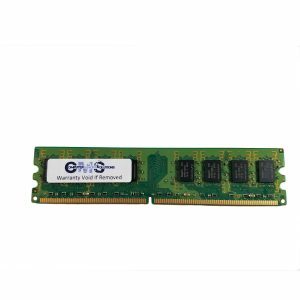 1pc of 8GB DDR3 PC3-12800 ò CL 11 ò Unbuffered ò NON-ECC ò DDR3-1600 ò 1.35V ò Lifetime exchange or repair warranty against manufacturing defects by Computer Memory Solutions Brand Computer Memory Solutions We don’t use Generic module to avoid incompatibility. Guaranteed to work in your notebook or you get your money back. Compatible with: Dell Inspiron 3050 Micro Desktop Maximum Memory: 8 GB SOCKETS: 1 MODULES MUST BE ORDERED AND INSTALLED IN PAIRS for Dual Channel mode, if supported. 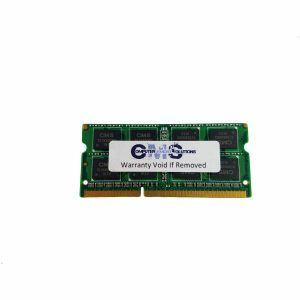 If 4GB is installed, the recognized memory may be reduced to 3.5GB or less (depending on system configuration and memory allocation). Maximum configurations require a 64-bit operating system.